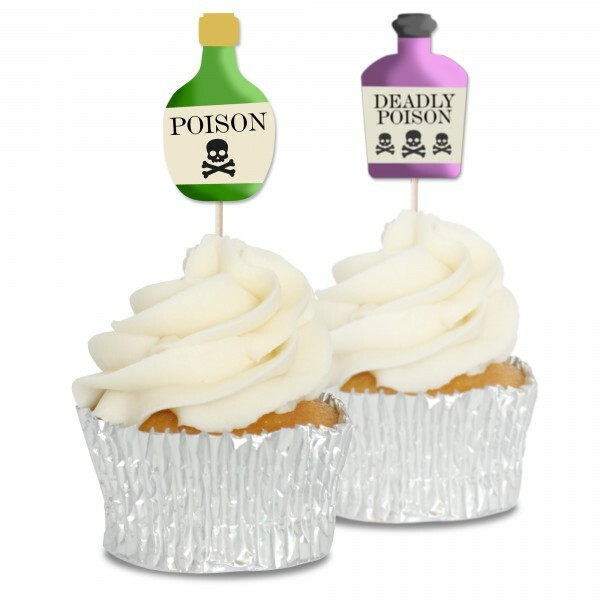 12 poison bottle cupcake toppers for Halloween cupcakes, pop them into freshly piped buttercream for instant decoration. Can be used on their own or mixed with our other great Halloween design cupcake toppers. 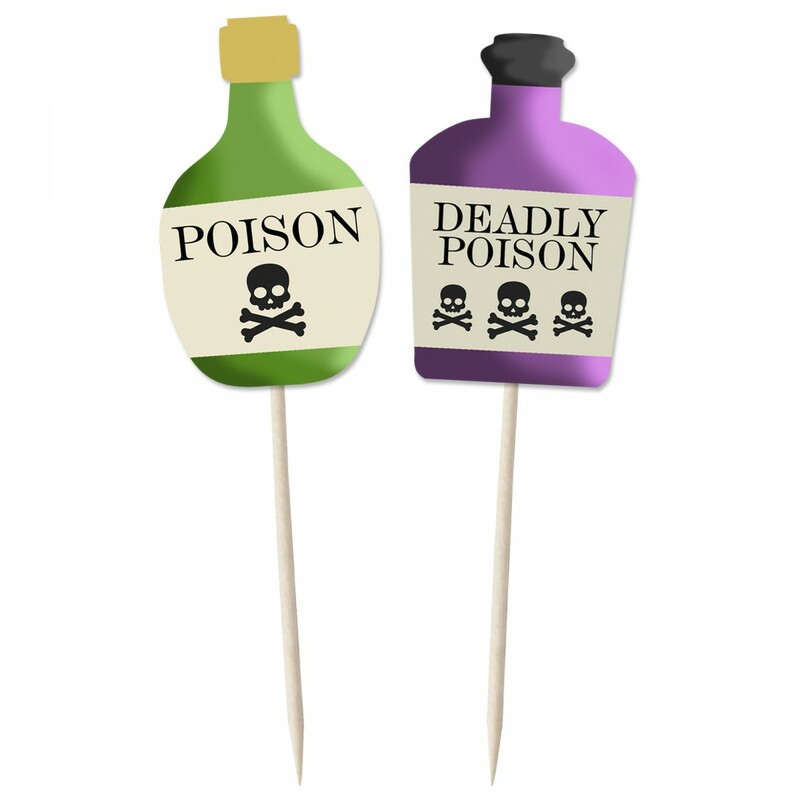 Single sided printed card on a wooden cocktail stick, ideal for a quick and easy cupcake or cake decoration.